I was at work last week and glanced at a box the UPS man had just dropped off. Low and behold I spotted an error with my editor’s eye. Can you spot it??? 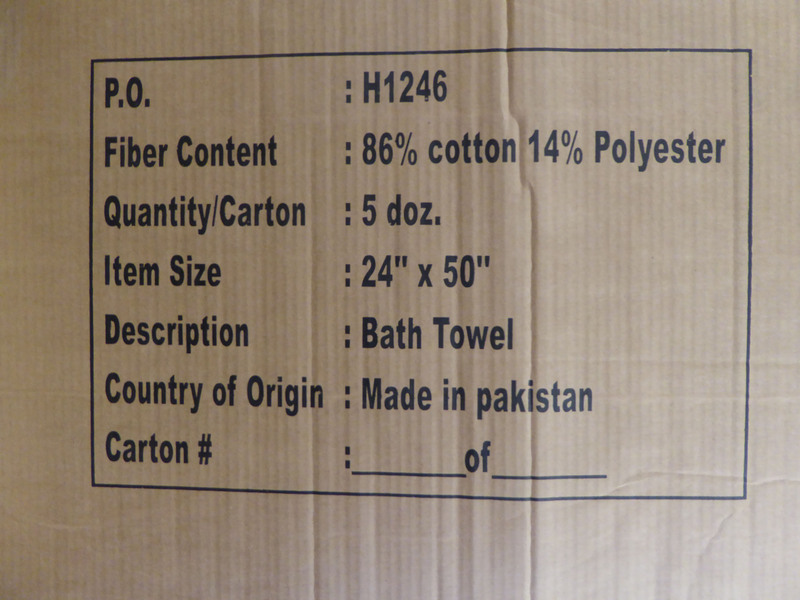 Yep, apparently the B in Bath towels should be capitalized, but the P in Pakistan doesn’t need to be??? So do you ever spot anything with your editor’s eye? If so, let me know so I can share.